SPRAWLING 2001 built Contemporary situated on 27+ scenic acres! Over $200k in improvements since 2012.New solid Hickory kitchen with Quartz counters, LED lighting, newer tile,carpet & water treatment system, huge living room with Cathedral ceiling & gas insert fireplace, formal dining room, den, office, full basement with walkout access, wraparound deck, balcony, attached garage PLUS a newer constructed 3 bay garage/barn, Nice pond to sit by and relax, home serviced by Natural gas & cable. 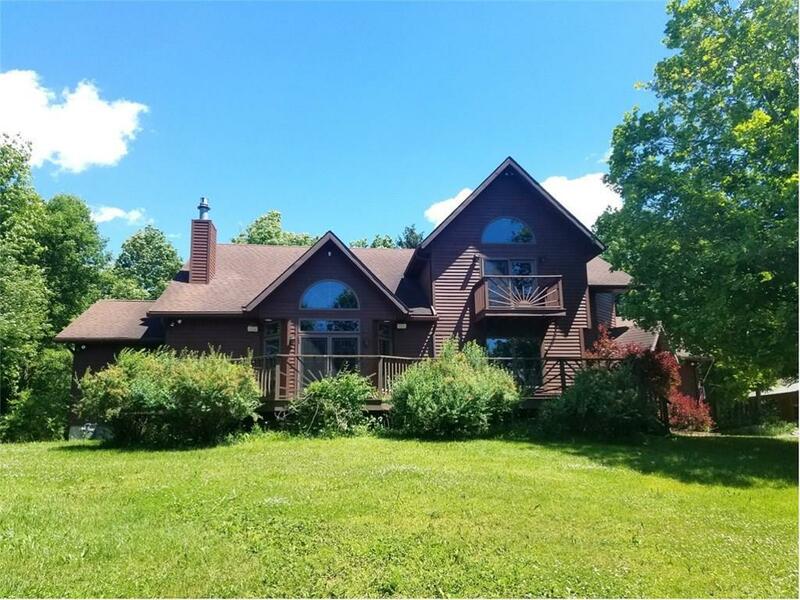 If your looking for seclusion , This is the home for you & it's a easy commute to Buffalo & Rochester. ONE OF A KIND PROPERTY! !